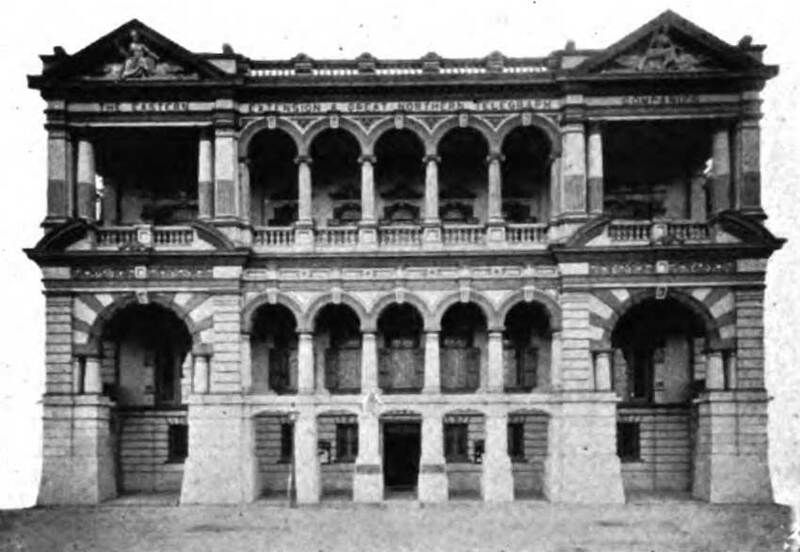 From The World’s Work, 1902. MORE than $15,000,000 were spent lately by the Eastern Telegraph Company (English) in laying a cable of 15,000 miles from England to Australia by way of the Cape of Good Hope—more than half way round the globe and nine times longer than the first Atlantic cable; but the fact went almost unnoticed. Two cables, each about 8,000 miles, and costing more than $10,000,000 each, are about to be laid across the Pacific. Compared with these, the Atlantic cables of only 2,000 miles and costing about $2,000,000, now seem short; and it is with astonishment that we read now of the doubt and difficulty of the laying in 1851 of the first successful cable, about 25 miles long, across the English Channel. Since then more than $200,000,000 have been spent on ocean cables, and as Marconi’s bold experiments in wireless telegraphy have caused some remote fear among those who have “all their money at the bottom of the sea,” it is opportune to summarize the astonishing changes that have taken place since the days of Mr. Cyrus Field’s activity in successfully laying the first Atlantic cable. Cable communication was first made possible by the discovery of gutta-percha, which led to the construction of a few short cables across rivers; and these in turn led to the cable across the English Channel, after six years of discussion, experiment and failure. Other short cables followed, and then the first Atlantic cable was laid in 1858, about 2,000 miles long and from two to three miles deep. Unfortunately it soon broke down. 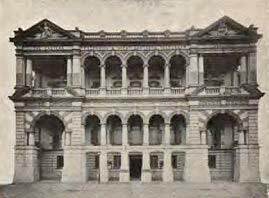 Not till 1865, after most disheartening failures and losses, was the art of making and laying cables mastered. Thanks chiefly to the indomitable energy of Cyrus Field and the scientific genius of Professor William Thomson (now Lord Kelvin), obstacles were overcome and the second and third Atlantic cables were laid in 1865 and 1866 by the Great Eastern. At once a period of great activity in the laying of cables set in, especially about 1870, when the British Government purchased the British land telegraph lines. 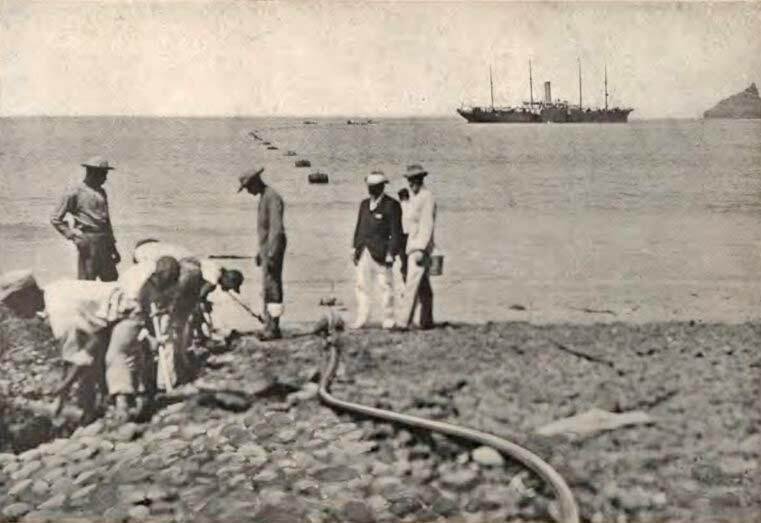 The capital thus liberated, amounting to about $50,000,000, was largely reinvested in submarine cables. It is said that to this fact, as much as to the scattered nature of the British Dominions, it is due that the cables of the world are so largely owned by British capital. A rock at the mouth of the Min River in China, opposite Formosa. Buildings in succession from left to right are lineman’s quarters, Chinese Government operators, office, company’s operators, company’s senior clerk. 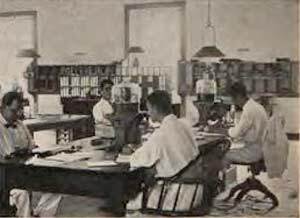 In 1872 a number of small competing companies with lines through the Mediterranean were consolidated into the Eastern Telegraph Company, and in the following year the Eastern Extension, Australasian, and China Telegraph Company was formed by the amalgamation of companies owning cables further East. Since then the Eastern, Eastern Extension, and Associated Cable Companies have become practically one immense organization, the “Eastern Company” controlling about 100,000 miles of cables, or about half the total length of cables in the world. Meanwhile the Atlantic cables, steadily increasing, also consolidated until at present, excluding the French cables, there are virtually two great competing companies, the Anglo-American and the Commercial Cable Company (started in 1884). There are now fifteen cables across the Atlantic, laid at a cost of about $30,000, 000. The first three, laid in 1858, 1865 and 1866, are “dead"; three others are in delicate health; the remaining nine are in perfect condition, and likely to remain so for at least twenty or thirty years. Recently another great cable-laying boom has set in. France proposes to connect its colonies by a system under its own control. A German cable has recently been laid from Emden in Germany to New York via the Azores, which works in conjunction with the Commercial Cable Company. The Commercial Cable Company has recently laid its fourth cable connecting New York and London, via Canso, the Azores, and Waterville in Ireland. The Eastern and its associated companies own a marvelous network. Practically all the cables from Land’s End in England through the Mediterranean to Suez, on through the Red Sea to Aden, across the Indian Ocean to Bombay, thence linking into the system Madras, Singapore, Hong-Kong, Manila, Australia and New Zealand, belong to them. So also do practically all the cables which now surround Africa, and many of those which cross the ocean and follow the coastline of South America. To such an organization the laying of 15,000 miles of cable from England to Australia at a cost of over $15,000,000 was comparatively easy. Yet this great line, the last section of which was completed in February, may be traced from Land’s End in England to Adelaide in South Australia, a distance which a modern Atlantic liner would take six weeks to steam over. Cape Verde Islands, 10th February 1900. This is the second section of the 15,000-mile cable line to Australia, completed last February. In the Pacific, the Commercial Cable Company is arranging to lay a $10,000,000 cable about 8,000 miles long, from San Francisco to Honolulu, Guam, and Manila in the Philippines. A still more extraordinary cable is being constructed jointly by the Governments of Great Britain, Canada and Australia, across the Pacific from Vancouver to Fanning Island, Fiji Islands, Norfolk Island, and then branching to New Zealand and Australia. It will be about 8,000 miles long, and the 3,600 mile stretch from Vancouver to Fanning Island will be the longest single section in the world. And in connection with Pacific cables, it is surprising to note that practically all the deep-sea cables of the world are in the hands of the English-speaking nations. A lonely spot on the island of Negros in the Philippines. This supplies a contrast to the Hong-Kong office. In all there are now about 200,000 miles of submarine cables, enough to go about eight times around the Earth. They have cost about $200,000,000, but their market value is considerably higher, as deep-sea cables are solid and profitable investments. Of the total mileage, the Eastern and its associated companies control practically half, or, to be precise, 99,262 nautical miles of cables, with 161 stations, and 11 cable steamers. All told there are 42 cable steamers in the world, including those owned by the cable construction companies and Governments, with gross tonnage of about 65,000 tons. There are about 1,700 submarine cables ranging from a quarter of a mile to 15,000 miles. Nearly all the short lines belong to Governments, but although only about 420 cables belong to private companies, these include at present all the deep- sea cables and about ninety per cent, of the total length of cables in the world. The life of a deep-sea cable, aside from injuries by ships’ anchors, rocks, sharks, saw and sword-fish, has been variously estimated at from thirty to forty years. Sharks occasionally bite cables and leave some of their teeth embedded, and saw-fish and sword-fish attack them, especially in tropical waters, but on “the great gray level plains of ooze” two miles or more below the surface, cables seem to be almost imperishable. In shallow water they are more exposed to damage. Deep sea cables weigh from one to one and a half tons per mile, but the portions lying in shallow water are so heavily armored as to weigh from ten to thirty tons per mile. Yet last year the ocean cables of the Commercial Company were severed by ships’ anchors five times. In the Firth of Forth in Scotland no less than thirteen ship’s anchors were once found entangled in a length of four miles of cable. In the early days the Atlantic Telegraph Company started with a minimum tariff of $100 for 20 words and $5 for each additional word. Later this was reduced to $25 for ten words. It was not till 1872 that a rate of $1 a word was introduced. This word-rate system proved so popular that it was soon adopted universally and since 1888 the cable rate across the Atlantic has been continuously down to 25 cents a word. Rates now range from the 25-cent tariff across the Atlantic to about $5 a word between England and Peru. The average for the whole world is roughly $1 a word. This the Commercial Company proposes to charge from America to the Philippines, as compared with the present rate of $2.35 by the circuitous route across the Atlantic, through the Mediterranean, the Red Sea, across the Indian Ocean and on to Manila via Hong-Kong. Even from New York to faraway New Zealand the rate is now only about $1.50 per word. The cost of cabling, however, is greatly influenced by “coding,” a system by which business men use secret words for commercial messages. A cipher, on the other hand, is a system of secret letters or figures used for secrecy by Governments. Practically Governments are the only users of ciphers. “Coding” has developed to an extraordinary degree of perfection. One code word will frequently stand for ten or fifteen words, and there are instances where one word has been used to represent over 100 words. Practically all commercial cablegrams are coded, and nearly all departments of commercial and industrial life nowadays have their special codes. 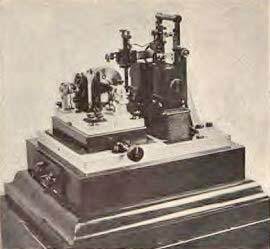 Cable operators have been called “the aristocrats of the telegraph profession.” Owing to the importance of cablegrams, the seriousness of errors, the difficulty of avoiding errors when transmitting the jargon of coded messages, and the fact that cable messages, unlike telegrams on land, have to be retransmitted through four, eight and even a dozen successive stations, each retransmission adding to the danger of error, cable operators have to be picked men of intelligence and training. Their wages are consequently high and their life desirable. The drawbacks are loneliness in many places and bad climate in such places as the West Coast of tropical Africa. Yet the station buildings are large and there is plenty of room. Cable companies also find it pays to consult the comfort of their employees. At Port Darwin in Northern Australia, for example, there is an extensive establishment including quarters for the staff, bathroom, gymnasium, and other conveniences. Cape Verde Islands off West Africa. Operating room. In front of operator on left of picture is a cable key for hand sending. St. Vincent, however, one of the Cape Verde Islands, off the coast of Africa, is a treeless wind-swept island less than ten miles square with a climate both tropical and bad. St. Helena is more healthy, but it is a little dot of land ten miles by eight, and a thousand miles from anywhere. Aden, at the mouth of the Red Sea, is a barren cinder heap where the temperature in summer runs up to 104 degrees. Wintry Wei-hai-wei is a significant contrast. But probably the most unique cable station in the world is that at Cocos or Keeling Island, one of the stations on the Eastern Company’s new cable to Australia. This group of islets was selected by Darwin as the typical coral atoll. It is said to be extremely healthy. The temperature never falls below seventy-six degrees and never rises above eighty-four. The population consists of a few hundred Malays and a handful of Europeans. According to all descriptions it is one of the “Summer isles of Eden.” But it is significant that the operating staff recently sent out there took a year’s store of provisions and a supply of fire-arms. Between this lonely station and the Broad Street office of the Commercial Cable Company in the heart of the financial district of New York there is a greater contrast than usually falls within the scope of a single profession. The cost of deep-sea cables, about $2,500,000 for a modern Atlantic cable, makes it vitally important to get as much work out of them as possible. In the first place the transmission time of messages has been greatly reduced. Formerly from many parts of the world it took five or ten hours to deliver a cablegram where it now takes from thirty to sixty minutes, and across the Atlantic the companies, for stock exchange purposes at any rate, send a cablegram and get a reply in two or three minutes. In the second place, where traffic is heavy, speed of transmission of the signals has been greatly increased. Across the Atlantic and on three or four of the busy lines of the Eastern Company the art of cable telegraphy has been highly developed. On the first Atlantic cables the speed was about seven words a minute in one direction only. The speed of recent Atlantic cables is as high as from forty to forty-five words a minute in both directions—that is, from eighty to ninety words a minute. In other words, compared with the early days, the speed and therefore the value of the best cables has been multiplied more than ten times over by means of some of the most ingenious and delicate machinery in modern industry. On the first Atlantic cable it was found that, using land telegraph methods of signaling, the speed was only one or two words a minute. The first great forward step was to send exceedingly feeble currents and to use extremely sensitive receiving instruments. Lord Kelvin’s mirror galvanometer supplied the instrument needed. By this means the speed of the early Atlantic cables was raised to seven or eight words a minute. Subsequently, when heavier cables were laid, the speed was increased to as much as twenty words a minute. In 1870 Lord Kelvin perfected his siphon recorder for working long cables, and it at once supplanted the mirror instrument, as it worked just as well with feeble currents, gave a written record of signals received, and enabled one man to do the work of two. An exceedingly light coil of fine wire (in shape and size like the long, narrow O which would be obtained by winding several hundred turns of fine silk thread round the palm of the open hand) is delicately suspended between the two poles of a powerful magnet. As the electric signals from the cable flow through the coil of wire, it swings round under the influence of the magnet, back or forward according as the current is positive or negative. The motions of the coil are transmitted by silken fibres to a little glass siphon about as thick as a needle and three or four inches long suspended so as to swing with perfect freedom. One end of the siphon dips into a pot of ink and the other end hangs close above a moving strip of paper. The signals are so feeble that if the end of the glass siphon rested on the paper it would not move at all, but by causing the siphon to vibrate continuously against the paper the free motion of the siphon is not interfered with and the ink is spluttered upon the paper so that the siphon traces a line of very fine dots and thus records the signals transmitted through the cable. This instrument, though crude at first, has gradually been perfected. It is now the most important part of modern cable apparatus. 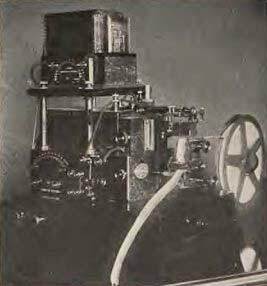 The next improvement, undoubtedly the greatest ever made for increasing speed, was the invention of a successful system of “duplexing” cables by Dr. Alexander Muirhead and Mr. Herbert Taylor in 1875. This invention rendered it possible to send messages through a long ocean cable both ways simultaneously. In 1878 the Direct United States cable across the Atlantic was successfully duplexed and a speed of sixteen words a minute obtained each way at the same time. Duplexing cables has now become such a fine art, chiefly through the labors of Dr. Muirhead, that the capacity of cables, and therefore their commercial value, has been practically doubled. Since 1875 about 80,000 miles of ocean cables have been duplexed, almost entirely on the Muirhead system. The invention is too technical to describe. The increasing traffic across the Atlantic and the pressure of competition led next to an increase in the size of the copper “core” which conducts the electric signals. The resistance of a wire delays the electric current and therefore the speed. By doubling the size of the copper core the resistance is halved and the speed greatly increased. The copper wires used for telegraphy on land weigh about 200 pounds per mile. In 1894 two cables were laid across the Atlantic, one for the Commercial Cable Company and the other for the Anglo-American Company. The copper core of the former weighed 500 pounds per mile, while the latter weighed no less than 650 pounds per mile or as much as three ordinary land wires. The result was that the speed obtained with these two cables was as high as forty to fifty words a minute, or working duplex from eighty to ninety words a minute. On previous Atlantic cables twenty-five to twenty-eight words a minute was the maximum, each way. Owing to the reduction of rates the benefit of this tenfold increase of speed since the early days has gone almost entirely to the general public. The increase in speed brought up another difficulty. No human operator can send so fast. 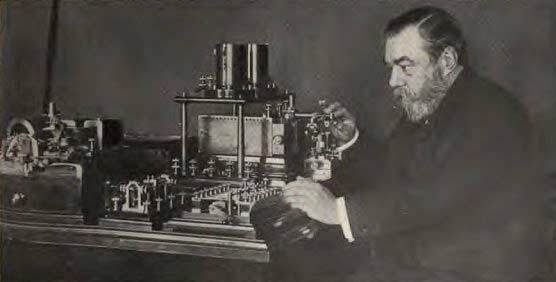 The key used for signaling through cables by hand is practically the same as the ordinary Morse key used for land telegraphy except that two keys are used side by side, one to send positive signals and the other negative signals, the letters of the alphabet being indicated by various arrangements of the two kinds of signals. First-class cable operators can send as many as thirty words a minute for a few minutes, but a sustained speed of twenty words a minute when working by the hour is regarded as very good. To take full advantage of the speed of a modern Atlantic cable, therefore, it is necessary to have some automatic method of transmitting. The advantages of automatic transmission are higher speed, greater uniformity of signals, more legibility, and fewer mistakes. No. 1 shows the word “Chicago” punched in the ordinary cable alphabet, and No. 2 the same word in the new cable alphabet showing equal number of letters and greater brevity and therefore increased speed. The method adopted is simple and beautiful, a modification of the Wheatstone system. The message is first punched as a series of holes in a paper tape. This perforated tape is then run through an automatic transmitter and by means of a system of small levers the required signals are transmitted at any desired speed. The operator has a wooden stick in each hand with which he strikes one or other of the three keys of the small perforator directly in front of him. One key punches a right-hand hole, another key a left-hand hole, and the middle key makes a space. In this way the cablegram before him is transmitted at the rate of about twenty words a minute into a perforated tape. From the perforator the tape runs into an automatic transmitter, or “auto.” There is a a row of small central holes in the tape, and on each side is a row of larger holes. The latter represent the message. A small star wheel in the “auto” engages with the central line of holes and feeds the tape along at a uniform rate. A couple of small steel rods about the size of a knitting needle one for each of the two rows of message holes continually vibrate against the paper. When either of them enters a perforation in the paper a lever connected with it moves and makes an electric contact sending a short, sharp signal into the cable. Recently several still more wonderful inventions have been perfected. There is good reason to believe that it is now possible to work a typewriter in New York by playing on a typewriter keyboard in London, and vice versa. The little tape perforator in the first machine of the series has three keys. These have to be struck on the average four times for each letter, and much practice is required to become skilful in using it. Several tape perforators with ordinary typewriter keyboards have been invented. The success of a machine of this kind will mean that cable messages will be transmitted by simply playing on a typewriter keyboard, the striking of the keys perforating the transmitting tape, which then runs through the “auto,” which sends signals through the cable to the other end, where they are written in ink by the siphon recorder. The siphon may be seen like a thin, white thread hanging down. It is at this latter point that has lain the great difficulty that has baffled cable inventors for years. By the time that an electric signal has passed through a long section, say 1,000 miles, of ocean cable, it has become so feeble that it can only be recorded by the extremely delicate mechanism of the siphon recorder. It has not been possible, until recently, to retransmit automatically into another section. On land, relays are used. For instance, messages from New York to Chicago are automatically repeated at Buffalo or Meadville, and by automatic repeating every 600 or 800 miles, it is an everyday occurrence to telegraph direct between New York and San Francisco. A relay capable of performing similar work for cables has been a dream of cable engineers and inventors for years, and in default of such an instrument “human relays” have been employed, that is, at the end of one section of a cable an operator takes the paper tape record of a cablegram as it comes from the siphon recorder and retransmits it. The siphon recorders may be distinguished by the rolls of paper near them. But the cable relay is now an accomplished fact. The only hope of constructing such an instrument was to utilize the siphon recorder. One difficulty has been that the movements of the siphon, as shown by the paper records, have been up till recently most irregular. There has been what photographers would describe as “lack of definition” about the signals, rendering it hopeless to attempt to relay them automatically by machinery. The first thing to do was, therefore, to straighten and sharpen up the signals a bit, and a very able group of cable engineers, including Mr. H.A.C. Saunders, Electrician-in-chief of the Eastern and its associate cable companies and his assistant Mr. Walter Judd, also Dr. Muirhead, inventor of the cable duplex, and Messrs. Brown and Dearlove succeeded in sharpening them. They secured very regular signals, usually described as “square signals.” This result was obtained by means too technical to be described here, but the chief device used is known as an “inductive shunt.” Having squared the signals.it was now possible, though by no means easy, to construct a cable relay. Two have recently been perfected. One is known as the Brown and Dearlove relay, the principal inventor of it being Mr. S. G. Brown. The other has been invented by Dr. Muirhead. In both a fine wire terminating in a platinum contact point takes the place of the ink in the siphon of a recorder. The contact point, instead of resting on the paper tape, rests on a rapidly moving metallic surface divided into two parts. A notable invention adopted by the Eastern and Associated Companies, and now working commercially at Mediterranean stations. This piece of apparatus takes the place of a human being. In the Brown and Dearlove relay this contact surface consists of a constantly revolving metallic drum or wheel. The siphon with its wire and contact point “ skates, “ as the inventor describes it, with utmost freedom on the periphery of this wheel. The drum, looks like a phonograph cylinder. As the siphon skates upon the right or left half of this drum it makes a positive or a negative electric contact and automatically transmits a corresponding signal with renewed energy into the next section of cable. In the Muirhead relay the moving metallic surface consists of a small plate vibrating rapidly. The result is the same. Able in this way to make definite electrical contacts through a long ocean cable, an operator can easily work, by means of these contacts, local apparatus moved by more powerful currents. In this way both Mr. Brown and Dr. Muirhead have devised perforators which reproduce at the receiving station perforated tape identical with that used for transmitting the message at the sending station. This tape is available for retransmission through an “auto,” this plan having the advantage that the signals are retransmitted in as perfect form as the original signals; and, theoretically at any rate, the process may be repeated indefinitely so that it would be possible to send a cable message automatically through a dozen stations from England to Australia. This will no doubt be to the point where the paper makes a sharp bend. The fine coil of wire is on the same level and about half an inch to the left done in time, but it is a very slow process getting such complicated and delicate inventions into commercial use. It is a question of time and growth. The Brown and Dearlove relay has been adopted by the Eastern Company and has been in commercial use for some months at Mediterranean stations. Dr. Muirhead’s relay has also proved very successful in several long-distance tests. Inventor of the cable duplex, and his remarkable cable relay. From this description of cable relays it will be seen that an operator by playing on a typewriter keyboard in London can now produce a perforated paper tape in New York. 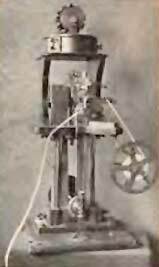 A machine invented by the writer of this article and described in The World's Work for September, 1901, is so arranged that by simply turning a handle it works a typewriter automatically under the control of a perforated paper tape, something after the fashion of a mechanical piano, at a speed of ninety words a minute. In order that this machine may print messages from a perforated tape produced by the cable relays it is necessary that all the letters shall be of equal length, and the writer has devised a new cable alphabet that not only fulfils this condition, but is also about twelve per cent. shorter than the cable alphabet at present in use. The first is an old-time record. The second is a modern record like those of messages across the Atlantic. The third is the latest style of squared-up record, received over the same cable. The remarkable increase in definiteness and uniformity is obvious. It is this latest achievement in cable signalling that has made cable relays possible. Hence it is now possible, at any rate theoretically, automatically to typewrite a cable message across the Atlantic in page form at a speed twelve per cent. faster than the cables can at present be operated. More than this, by the same mechanism it is feasible to operate a linotype or typesetting machine automatically so that the fantastic possibility presents itself of playing on a typewriter keyboard in London and setting type automatically in New York. It will thus be seen that deep-sea cables have shared in the astonishing revolution caused by the perfecting of automatic machine methods during the past twenty years. And it is in the highest degree improbable that a long record of wonderful human achievement like that which has been described in this article will be brought to naught by any new invention howsoever ingenious or revolutionary. There is room enough in the world for both wireless and cable telegraphy, and indeed Mr. Marconi has already done good service to owners of cables, because his unique feat of signaling across the Atlantic has rendered the cutting of cables in war time useless. On right is tape perforator. In middle is automatic transmitter, and on left is a siphon recorder for receiving the message at the other end of the line. this instrument and the transmitter.